All over Poland on this day, people are stuffing themselves with donuts. “How many have you had?” is the question of the day. Me? Just one (the tasty, calorie-laden one pictured). 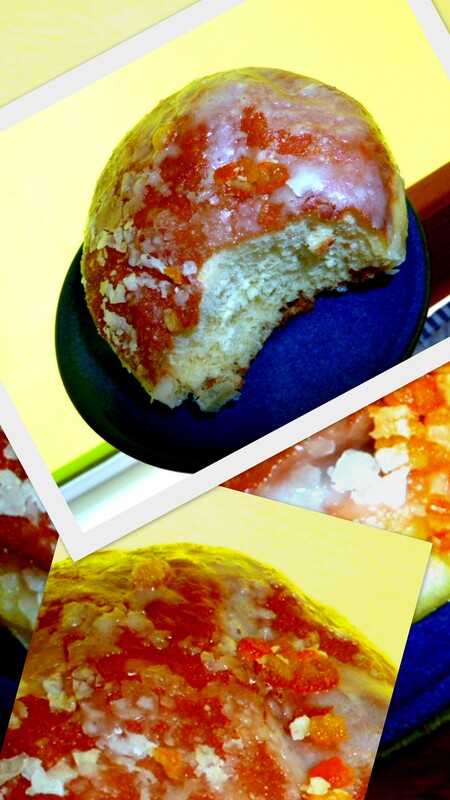 This day of mass doughnut sale and consumption is called Fat Thursday, or Tlusty Czwartek in Polish. In the United States, Polish Americans observe the day on Fat Tuesday. But for Poles in Poland, the day rooted in Christian traditions comes on the Thursday before Ash Wednesday. Diets out the window, the idea is to eat as many doughnuts or paczki – pronounced pounchki – as your stomach can handle.